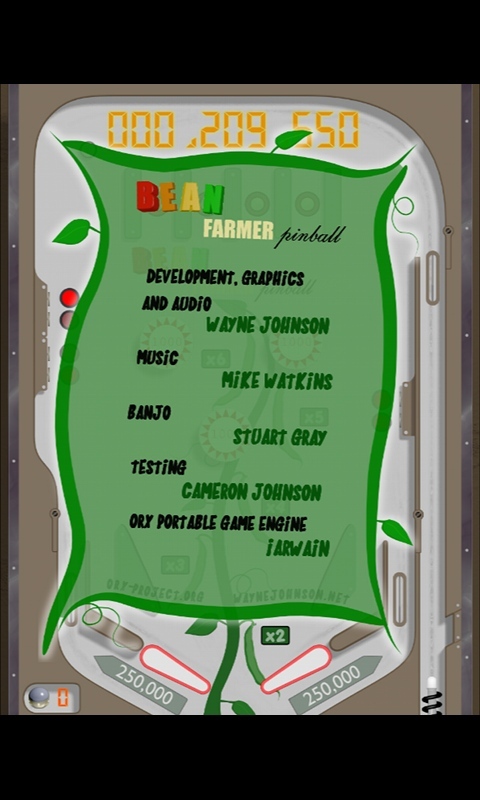 In a dusty corner of the app store lay an old pinball table, clunky, but still working fine. Introducing Bean Farmer Pinball, a pinball game inspired by the days of the 70's pinball era. It's simple, uncluttered and fun! This is the first from the Hip Pocket Pinball Series. This game was made for those who remember and love the days of old school pinball, milk bars, and hamburgers with the lot. 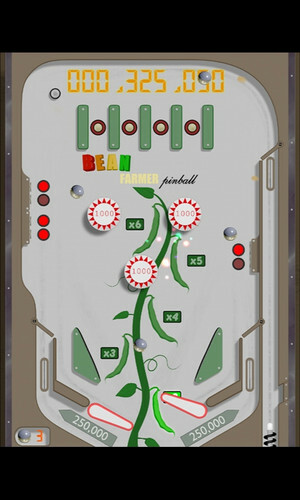 And with a cool theme based on Bean Farming, why wouldn't all the kids be lining up for a turn? Download the installer and follow the prompts to install the game. 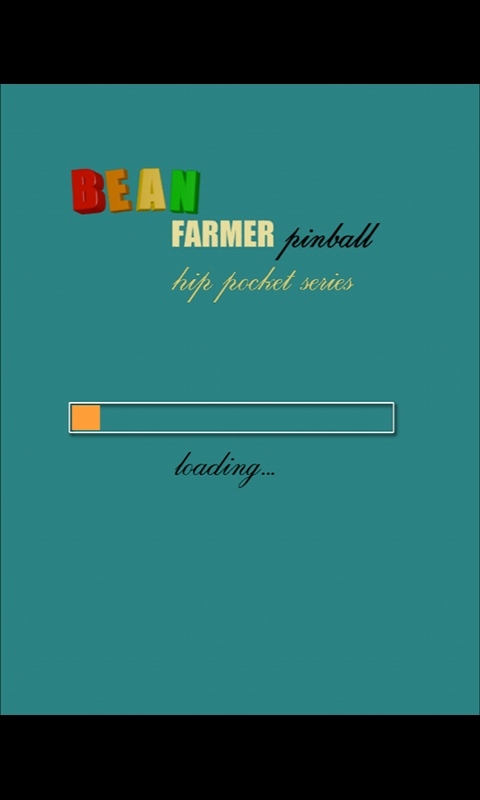 Click the Bean Farmer Pinball icon to start. Double click the dmg and drag the Bean Farmer Icon onto the Application folder to install. Run the icon from your application folder to start. Download the APK file. Your device will inform you that you will need to enable Unknown Sources to install. Follow the prompts to do this. 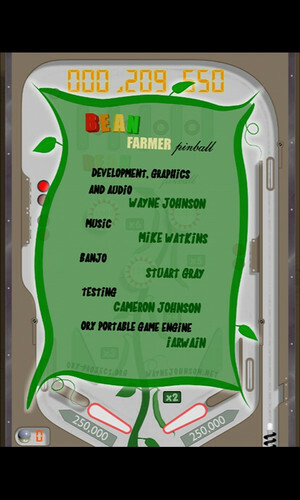 Bean Farmer is not available in the Google Store. On some devices you may need to open your file manager and locate the APK file again to install. Touch the Bean Farmer Pinball icon in your All Apps area to start. There is no installer for Linux, just the binaries needed to play. Run the "pinball" executable to play. You may need to install additional missing libraries on some systems. Press Enter to Start the game on Desktop. Swipe on Android. Hold the down arrow to pull back the plunger, or press the up arrow to smack the plunger hard. On Android, simple swipe and hold to pull back and release. Press the flippers with left and right shift, or left and right control keys. On Android, touch to bottom left and right corner regions on your device. Light the top lights, left lights or right lights to increase the bean pole multiplier and to close the safety traps. The traps will stay closed for 10 seconds x the multiplier, up to 60 seconds. If all light groups are lit, multiball will begin. Press the right flipper key to move the light positions at the top to the right. Every element that scores points is worth more with the bean pole multiplier. Bumpers worth 1000 are worth 6000 with a 6x multiplier. Extra balls are awarded 500,000, 1,000,000, 2,000,000, 3,000,000, 5,000,000 and 10,000,000. You may resize the game window with the mouse or press Alt-Enter for a full-screen toggle.